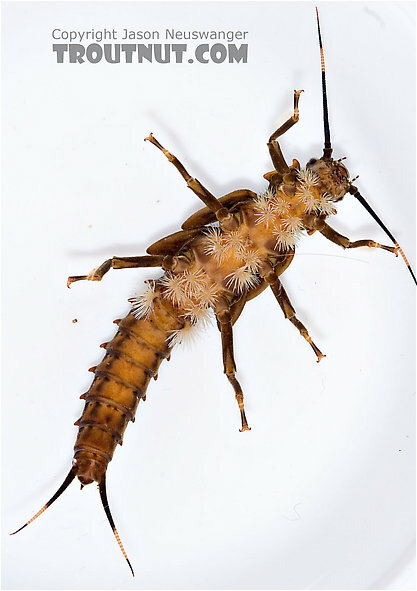 Stonefly larvae are flattened and have 2 “tails” or cerci. If gills are present, they are on the underside of the head or thorax. If gills are present on the abdomen, they are only on the first 2-3 segments in the majority of species. Figure 8.E: Underside of stonefly larva. Note the gills between the legs and on the first few segments of the abdomen. 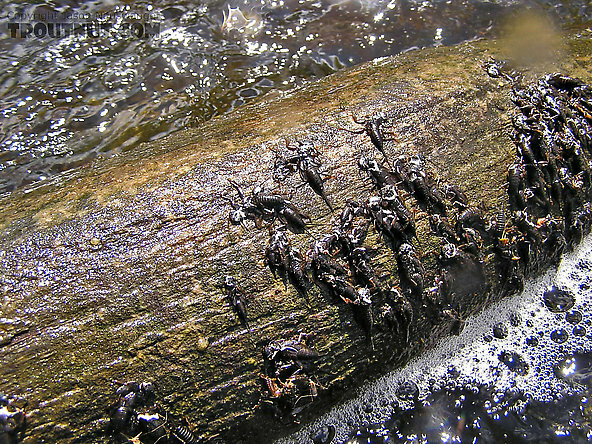 Figure 8.F: Some stonefly larvae crawl out of the water and onto stones, logs or emergent vegetation when they are ready to molt to the adult stage. 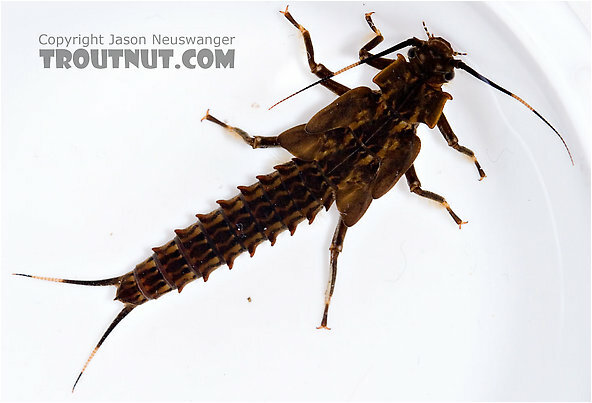 For more images of stoneflies, visit TroutNut.com.